At the meeting I gave out these templates. If you didn't get any, don't worry, they're just a guide. I'll show you after how to make the block without them. Take the two pages with ends, use a ruler to draw a line across all the cut off lines. This will be where you line up these pages with the first page. Cut your paper a little past the drawn line. Match the letters and tape your template pieces together. Cut only along the curve on the larger piece, and cut all the way around the smaller piece. Lay your template down on a 12.5 inch square piece of fabric. For this month, your background fabric should be white or "reads as white". Trace your two arcs onto the fabric. Here's where I explain how to not use the templates. Duplicating the curve exactly isn't the most important part of this block, where the arcs end is. So if you didn't get the templates, mark the edge of your fabric at 2.25 inches and 6.25 inches from the bottom left and top right corners, then freehand a curve. Trace your petals onto the paper backing of your fusing material, I used Heat 'n' Bond Lite, fuse that to the wrong side of your scraps, then cut out your petal shapes. You'll need 12 of the larger petals, and 10 of the smaller. Lay out your petals along the curve. You'll want to keep them just to the side of the curve, so touching the line, but not crossing it or touching the other petal. Iron to fuse them. 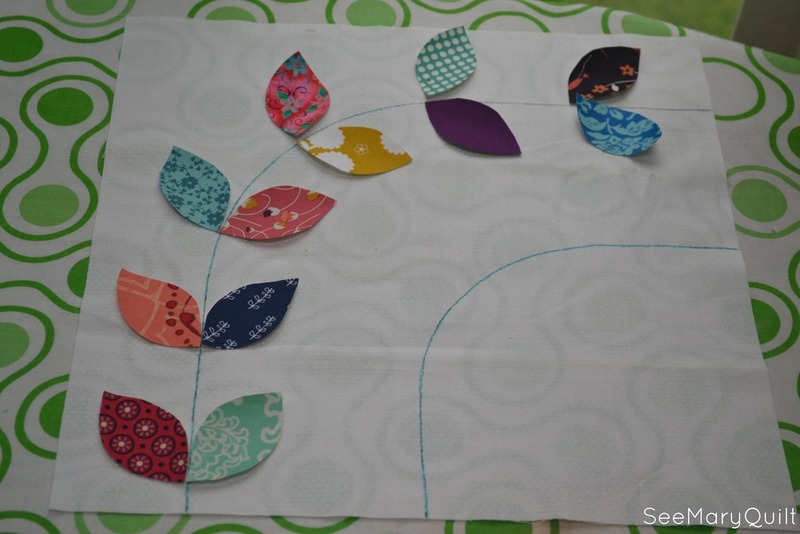 To raw edge applique the petals, sew a zig zag stitch around the edges. To keep all the thread ends hidden under the bias tape, start where the petal meets the line, sew along the first edge, pivot at the outer point, continue from the second edge to the third without cutting your thread, pivot at the second point, and sew down the fourth edge ending where you started. You'll want your zig zags to be mostly on the petal, with the outer stitch just barely going off the petal into your backing fabric. When turning your work, always stop with your needle down on the outer edge of the petal, lift your presser foot, and adjust the fabric. 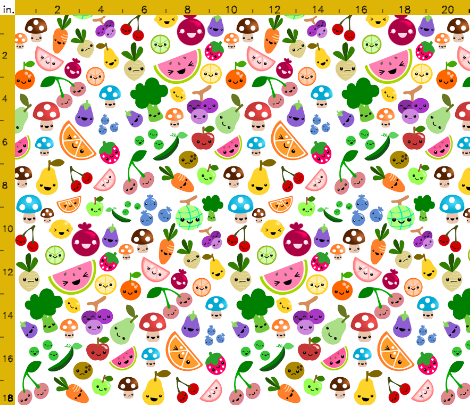 For the vines, we'll need 1/4 inch bias tape in black or "reads as black". 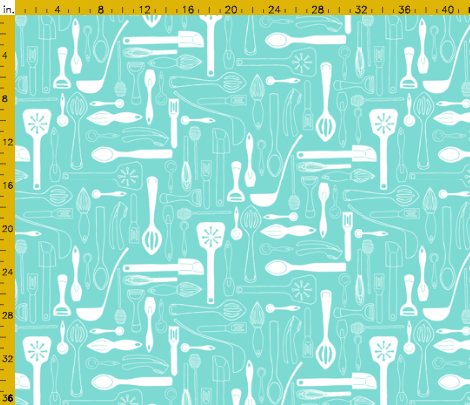 Steph showed us all how to use the cool bias tape makers, and you can find 1/4 single fold bias tape in the store. Here's my big fat cheating part. I could only find 1/2 single fold bias tape at the store, so I decided to just make it work. 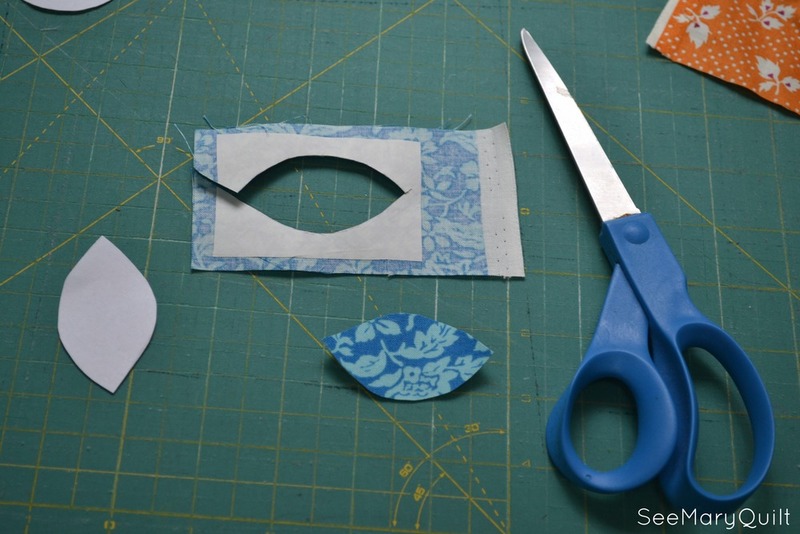 Lay it out along your curve and cut it a little larger that you need. If you're cheating with 1/2 inch tape, place your bias tape flat side down on your ironing board, glue along one of the flaps with Elmer's or another sewing safe glue, fold in half, and iron. I made sure that when I folded the tape, I was entirely covering the bottom edge with the top edge, so that when I sew it down, you'll only see the one fold. Lay down a line of glue on your drawn arc, finger press your bias tape along that line, then iron to dry the glue. Sew along the two edges of the bias tape with black thread, as close to the edge as you can. Trim off the ends of the bias tape. When I was done, I was a little concerned with how lumpy my block was, but a quick starching flattens it out nicely. Here's the finished block again! Can't wait to see them all together at July's meeting!